MEMPHIS, Tenn. - Thousands of Elvis Presley (Beta-Psi, Arkansas State University) fans braved 105-degree heat as they wound down Graceland's driveway in a graveside procession Wednesday in advance of the 30th anniversary of the singer's death. The heat led to the death of a fan from New Jersey, a 67-year-old woman. Despite the promise of another furnace-like day, some fans began lining up early in the morning Wednesday for the candlelight vigil, setting up umbrellas and folding chairs on the sidewalk along four-lane Elvis Presley Boulevard. The memorial ran through the night and into Thursday morning, the death anniversary. The procession, with fans walking mostly single-file and holding candles, filed up Graceland's long winding driveway and past Presley's grave in a small garden beside the white-columned house. Many fans carried flowers, stuffed animals and other small gifts to leave at the grave. The body of the woman who died was found Wednesday afternoon inside a trailer at a Graceland campground. She had chronic health problems, but the Shelby County medical examiner's office said the heat contributed to her death. The Memphis Fire Department said it also treated at least six people overcome by heat, including an 8-year-old boy who was hospitalized. 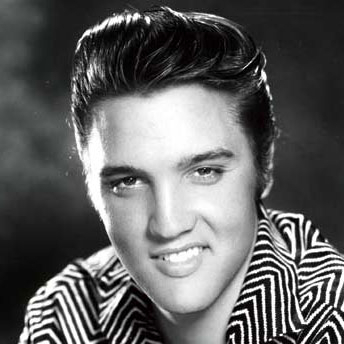 The legendary entertainer, acclaimed as The King, died 30 years ago Thursday at age 42 of heart disease worsened by drug abuse. The vigil is the most popular and solemn anniversary event in a weeklong string of concerts, dances, movie screenings and other festivities put on by Graceland. No one keeps exact figures, but the Memphis Convention and Visitors Bureau estimated up to 75,000 people would be drawn to town for the anniversary week. Graceland draws almost 600,000 visitors a year and up to 40,000 file through the three-story white-columned house during Elvis Tribute Week. Fans preparing for the vigil filled the souvenir shops of Graceland's sprawling tourist complex. Elvis impersonators, with karaoke accompaniment, put on a daylong show for fans packed into a large tent in a shopping center parking lot. Workers from a Memphis hospital passed out free bottles of water and fans lining up for the vigil could take breaks to stand for a few moments in a misting tent dubbed "Kentucky Rain" after one of Presley's songs. When Presley died, his finances were in sad shape. Led by ex-wife Priscilla Presley, the estate formed Elvis Presley Enterprises, opened Graceland to the public in 1982 and solidified the legal rights to make money on Elvis' name and image. Last year, Graceland took in $27 million in revenue, and the overall Elvis business brings in more than $40 million a year. That made him the second-highest grossing dead celebrity in 2006, behind only Nirvana's Kurt Cobain, according to Forbes magazine.